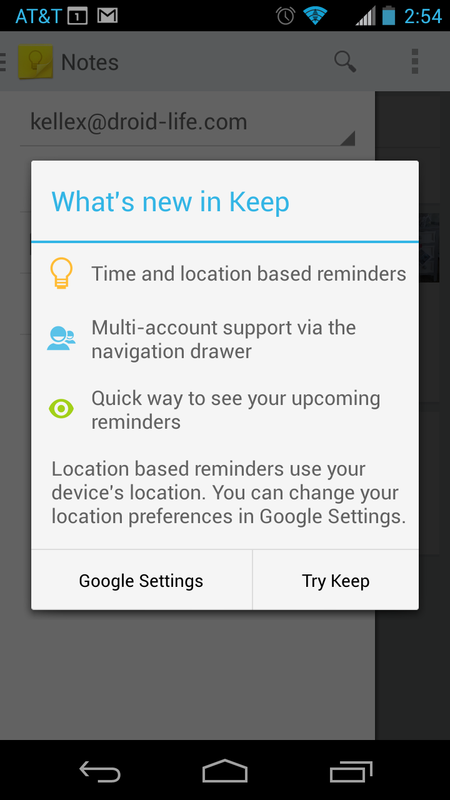 Google is currently pushing out an update for Keep, which brings a new partnership between Google Now and the note-taking service. 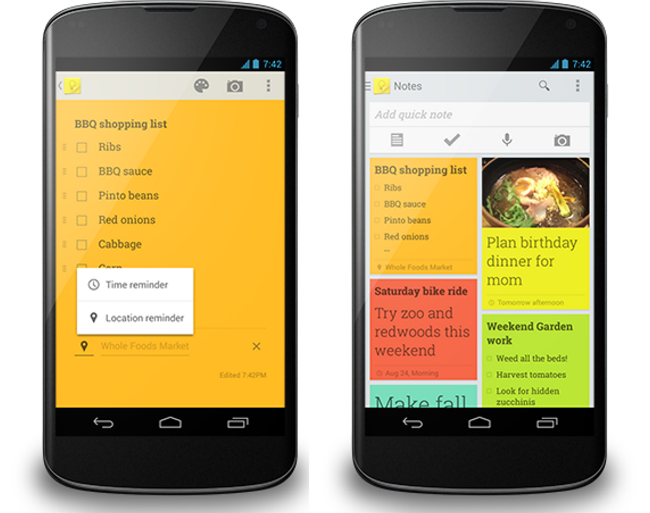 Starting with the new update, you can set a reminder (and location-based reminder) with your notes, which will then be pushed through Google Now to your device. For example, if you need to take out the trash on Thursday nights or have an important list of groceries, then you can set a reminder to make sure you don’t forget. What makes it interesting is that Google Now notices that you have walked into your grocery store, then reminds you of your list. If you aren’t ready to deal with the reminder when it goes off, you can simply “snooze” it until a later time. In addition, a fancy new navigation drawer has been included, allowing users to search through all of their notes, as well as switch between Google accounts for easily accessing notes on different emails. Finally, Keep will more easily allow the adding of existing photos on your phone to your notes, which was somewhat of a pain apparently before this update. It is gradually rolling out, so if you don’t see it on Google Play yet, remain calm.